Just admit it: you’re a travel blogs junkie. You love reading travel blogs. You search for inspiration from the bloggers. You like the lifestyle most of them lead. You get ideas for new places to visit. You read stories and tell yourself “No way I’m going there/doing this!” but admire the courage the storyteller has. Or you’re simply envious. That’s why I wanted to share with you several remarkable travel blogs and introduce the bloggers behind them. These unique travel blogs are an incredible source of inspiration, information, and travel ideas and you need to check them right away! No matter what your travel style is, if you’re searching for a fun way to spend a few hours, or researching for a trip, I’m pretty sure you’ll find at least a few unique travel blogs to follow and to be inspired for your next big adventure. So here’s my list of travel blogs, each unique in its own way, in no particular order. Not having a home? Working from the road and living out of a backpack? All is possible nowadays and these travel bloggers prove it! Living without a permanent address? Earl proves this possible: he’s been travelling to all kinds of exotic destinations non-stop since 1999 and apart from several “home bases”, he hasn’t had a permanent address since then. Before he started his travel blog, he worked a bunch of “offline” jobs. Parallel to his blog, he published a few books and leads his Wandering Earl Tours. Aileen created a life of travel despite the circumstances and proves that travelling with a 3rd world passport is possible if you have the will. Born in the Philippines, she’s travelling solo or with her boyfriend, never spending more than a year in one place. Sabrina was travelling since she was a teenager. She writes about extraordinary places and adventurous activities on a normal person’s budget. Her travel blog doesn’t get updated very often, but when it does, the posts are shared quickly on all social media channels. You can find her stunning photos on her social media accounts. 4 years ago Carolann and Macrae found out that weekend trips, occasional road trips and two weeks vacations weren’t enough anymore, so they decided to change their lifestyle. Since then they’ve learned how to work from anywhere in the world, about the travel lifestyle and how much they miss and don’t miss their Canadian home. They prefer to travel in comfort and luxury, affordably. Must-read post: Light the Torches! Two Things We Regret Eating! Derek owns two travel blogs and this is the more honest of them. The good, the bad, the ugly, the illogical and even some WTF? moments — it’s all there. His “Rants And Ramblings Of A Permanent Nomad”, as he calls them, are very entertaining and scary at times. No fluff, just real-life stories from 7 years (and counting) of travel. For those always seeking the adrenaline rush, the stories from the unique travel blogs below are your new source of inspiration. Bistra and Nace follow the locals and dance their way through the world. They also love immersing themselves into new adventures and trying new activities everywhere they go. Just look at the cool stuff they’ve been doing while exploring their home country, Bulgaria! Don’t you just want to book a flight and start your new adventure with them? The adventure travel addict and photographer Matt says, that he wants to take risks, meet interesting people, challenge himself and learn as much as possible. For him adventure travel is much more than just participating in extreme activities — it’s about breaking out of your comfort zone, immersing yourself in different cultures and trying new things, seeing the world from someone else’s perspective. This travel blog is about the adventures of a sailing family, who owns a catamaran instead of a house. After emigrating from Bulgaria to Canada and working as truck drivers, Ivo and Mira sold everything, bought a catamaran, learned how to sail and started exploring the world with their daughter (their son decided to go back to Canada after a few months). Currently, they’re on their longest sail from Ecuador to New Zealand. The Australians Lesh and Jazza are living a simple life, wandering from place to place without the need for huge amounts of material objects. They’re all about long-term adventure travel with a focus on sustainable tourism. They specialise in overland tourism and started a travel blog to document their backpacking overland adventure from Thailand to South Africa without flying. These travel bloggers have set only one goal: visit every country in the world. Simple as that. Good luck, guys, your stories are truly exceptional! Norbert put his architecture career on hold to travel the world for a year. That was in 2011 and he’s still on the road with no return date set yet. His travel goal is to visit all UN listed countries before the end of 2020. With 97 already visited, there’s a good chance he succeeds. Hannah and Adam are on a round-the-world trip since 2013 and have stamps from 62 countries already. It all started with a trip to Belize. Shortly after getting married, they decided their life was getting too boring, so they packed their bags and left. Warning: their amazing photographs and travel stories might just inspire you to do the same. This unique travel blogging niche is for people who believe that travel is not only about beaches and mountains, and museums aren’t the only sightseeing attractions. After winning the fight against Lyme disease, Barbara reevaluated her life and started travelling. Her speciality is cultural travel all over the world, from the USA to Myanmar, from Mexico to Europe. The photographs she takes are simply amazing and the stories she tells might just make you pack your bags and go. Daniel and Audrey say they’re driven by curiosity and guided by respect. They’ve been travelling the world and sharing stories about people from all walks of life for several years now. Their goal is to create a movement of respectful travellers who live at the intersection of adventure, deep travel experiences and caring for our planet and its people. Must-read post: Should Travelers Give to Kids Who Beg? Michael is travelling permanently for the last 5+ years, wandering around, taking photographs, making videos, and telling travel stories. His travel blog is dedicated to all the good things that travel can bring into your life. It is an amazing world out there – his hope is that you get out and enjoy it a bit. If you’re looking for insider tips about travel in Bulgaria or short trips around Europe, Maria and Krasi are your experts. She writes the incredible stories about their travels through Europe and he makes sure their travel blog and photographs look amazing. Who doesn’t want to save a buck now and then? Not all budget travel blogs are necessarily about sleeping on a bench in the park to save money. There are a gazillion hacks to stretch your money while travelling and these bloggers share their knowledge! Nick and Dariece are travelling mainly to off-track destinations since 2008, turning travel into a lifestyle. Their travel guides for countries such as Mongolia, Thailand and several Caribbean islands are full of useful tips. They’re housesitting experts and can teach you a lot on how to save on accommodation and transportation while travelling. Svet is a travel writer with an incurable love for new discoveries and an insatiable hunger for scrumptious delicacies. He flirts with words unlike any other blogger. His storytelling skills are off the charts. 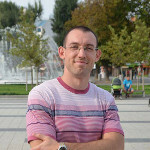 You might not find a lot of budget saving tips on his travel blog but his stories will inspire you to venture to new destinations, which are rather affordable, such as his birthplace – Bulgaria. Anil, the computer security engineer who runs the travel blog foXnoMad, is on a journey to visit every country in the world. His travel blogs is full of useful tips, tricks and tech reviews. He says he’s always had a keen interest in culture, technology, and travel, and loves to pick things apart to see how they work. Samantha shares her personal experiences as an expat in Costa Rica, Yeison shares what it’s like to travel from a Tico perspective. Together, they share what it’s like to explore the world as a multi-cultural couple seeking out the best travel experiences. Travel for food? It is totally worth it! Just imagine, you’re eating three meals per day – this makes for a lot of new experiences when travelling, which surely need to be shared. Mark’s videos and posts are inspirational, surprising and mouthwatering at the same time. He’s travelling to exotic places and trying exotic meals, primarily from street food stalls, and sharing his experience on his travel blogs. For him, food alone is a reason enough to travel to a destination. Jodi is a former lawyer currently travelling (and eating!) her way around the world, one country at a time. She never imagined that food can be a reason to go out of your way to visit a place until she started travelling and figured out she loved soup. The one question every solo traveller probably hates: Is it safe? Until you’ve done it, you can’t really tell for yourself, but there’s a whole new level of experience when travelling solo. Those amazing ladies talk about the ups and downs and share their adventures on their travel blogs. Sherry Ott was a corporate cube dweller who turned into a nomadic traveller. She travels to off-the-beaten-path destinations to bring you unique travel experiences, adventures, and photography from around the globe. Her blog is not just about travel, it’s also about the life experiences of a solo female wanderer. She ditched the “American Dream” and created her own instead. Camille sold everything back in 2012 and since then she’s lived with her home on her back in over twenty countries, becoming a certified yoga teacher, and discovering the true meaning of happiness along the way. Alice’s travel blog is full of useful tips for solo female travel, concentrating on destinations in Asia, where she also teaches English. Her stories are witty and surprising, full of information and funny details. While travelling, she’s willingly throwing herself into anything outside of her comfort zone. 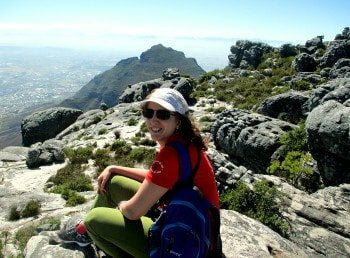 Kristin’s travel blog is for the adventurous, experience-seeking, independent travellers. She’s from Southern California and has dedicated her life to solo travelling the world in the most genuine way possible. For her, that means talking to locals and delving deep into their culture. At age 26, Kate quit her job to travel the world alone. She’s going anywhere that sounds wacky, or beautiful, or interesting. Her goal is to show you how you can travel the world on your own: easily, safely, and adventurously. She thinks there’s a lot of information out there designed to scare women away from travelling on their own, but she’s here to clear up those myths. Travelling with the whole family raises a whole new set of challenges. Having people from different generations together all the time in enclosed spaces or even outdoors can develop unexpected skills. Travel is something that’s hard to define because each of us has our own interpretation of what the ultimate form of travel looks like. Caz and Craig say that travel allows them to escape the everyday formalities and they also have the stories to prove it. The Australian family are real road trips experts. Their two-week vacation turned into a book and then the adventure of a lifetime. The Boston expats Matt and Jenn moved to Costa Rica and recently got their first baby there. Their travel blog is all about life in Costa Rica and features amazing wildlife photographs. The Bender family of four love new experiences and seeing more of this wonderful world. For them, it’s heaps of fun, but also a rich learning experience. On their travel blog, they document and share their experiences in a transparent, fun and entertaining way. Sharon and her lovely family of five will show you just how incredibly easy and satisfying, as well as educational, travelling with your kids is. From Singapore to New Zealand to Panama, the wandering family has a bunch of entertaining stories and useful tips for you. Now It Is Your Turn: What Are Your Favourite Travel Blogs? You don’t have to be envious just because you’ve just met all these remarkable people and already wish you were in their place. You can use their unique travel blogs and exceptional experience as a starting point for planning your next big adventure and gather ideas on how to change your lifestyle to better suit your travel needs, goals, and desires. You realise that travelling is not that difficult now, do you? :) In fact, you can not only adopt these bloggers’ lifestyle but you can also start your own travel blog right now! So tell me: which one is your travel style? Which of these unique travel blogs are you checking already? Do you want to save the links in this post? Let me send a downloadable list of all remarkable travel blogs and their must-read posts directly to your inbox. Did I miss a great travel blog? I’d love to hear your recommendations and thoughts in the comments. Thanks for including me in this list. In such great company as well :) There is only one blog on this list I haven’t heard of, and only a couple of folks here that I haven’t met in real life yet. BTW I like the categories that you broke the blogs up into. Very catchy. Anyway, cheers! Hey Derek, glad you liked it, hope you’ll share it with your audience as well ;) Have a great day! Thanks so much for including me, and especially for featuring my article about volunteering and volunteering in Nepal. LOVE the headings for these categories!! Thanks so much for including us – we’re honoured to be considered among such great travel bloggers! Great list! I didn’t know some of them, so I’ll get some inspiration on their blogs. Amazing post. People on this list prove that you dont need a big pocket to live your dream.Thanks for sharing!! Exactly my point, Akash! Experiences are more valuable than possessions, I hope more people will understand this :) Have a great day! Great stuff. I already follow most of these guys, but there’s a few more on there to add to the list! Glad you liked it :) Cheers, N.
Thanks, Lisa, I’ll check them out! Some very good suggestions here. I look forward to taking a look at them. Thanks, Stuart :) There are some very inspirational stories in the suggested “Must Read Posts”, too. Great list with so many inspiring travelers! They’re all pretty remarkable, aren’t they :) A true source of inspiration! Hey this list is awesome. A few familiar faces are also my favorite bloggers to read. Now I find out some more thanks to your suggestion :) Thank you! Cool peeps you have here. I know most of them but nice to see a couple of new faces. Travel Happy! Man, Someday would love to join this list. Thanks for the write up. Thanks, Marshal, and good luck! That is wonderful article.Thanks for sharing article. Glad you liked the list, Hamid! Don’t forget thetraveltextbook.com for student travellers! Great list – given me a few more blogs to follow! Fantastic roundup! Nice to see fellow solo female travelers out there rocking it! these ladies are some of the most inspirational travel bloggers out there! Wow, what a lovely bunch of peeps here! I am honoured to be around so many great bloggers and I really hope to meet more of them on our jaunts across the globe! Thanks for including me, N! Your travel blog features some of the best-crafted stories on the Internet :) One can really immerse herself in your world by reading your blog posts. Aren’t you a flatterer! Thanks so much, N! Happy travels to you, too, and see you soon! Big fan of Journalist on the Run, Irish Travel Blogger. Great list. I recognize a few of the folks on here. TwofortheRoad.com and MikesRoadTrip.com are both great travel blogs worth considering. Hi, John, thanks, you’re right – those are great travel blogs as well! It might be time for a second round up post to include all the suggestions from the comments and the travel blogs I have started following since I published this post. I hope you got inspired, not just jealous, by these travel blogs as well ;) Happy travels! Wow! Wonderful list, thanks for sharing, i write regular articles and i may check them for inspirations! Awesome !